Aaron and I got Wii Fit Plus to help get in shape for the new year. 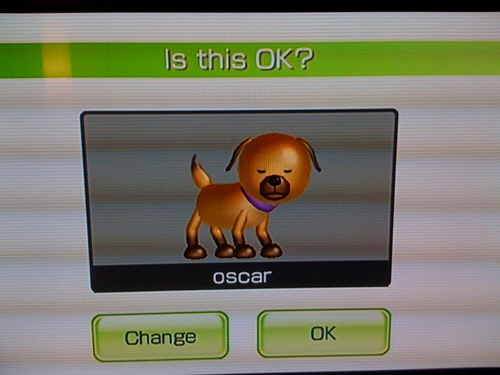 Forget the exercies, we are over the moon about the fact that you can now enter your pets into the Wii! Of course we immediately created a Mii for Oscar. You can enter the date of your pets birth and it even weighs them. Wii weighs you and then you holding your pet. Here I am right after weighing Stewii. 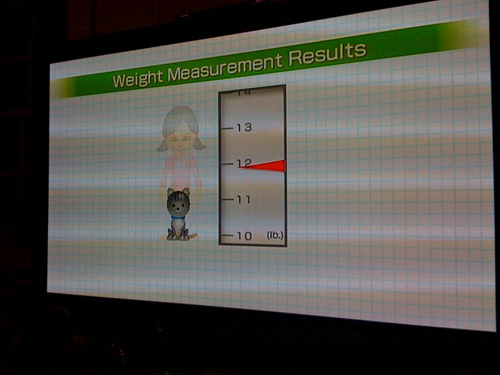 Seriously though, Wii Fit Plus has a lot of improvements and we are loving it! 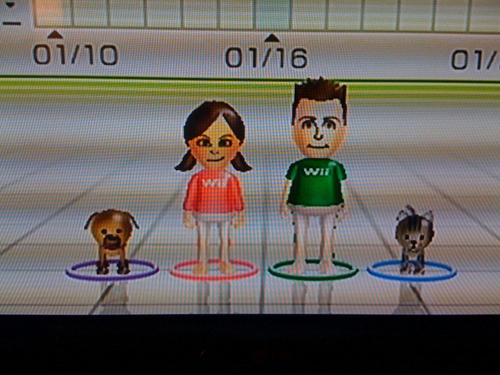 Here is our little Wii Familii - ready to get fit in 2010!